While only about 100 to 200 snow leopards live in Afghanistan today, the stunning animals continue to have a major impact on the country and its people. Conservationists, drawn by the big cat’s majesty and rarity, have worked hard to save the species from extinction, often placing themselves at odds with Afghan farmers trying to protect their livestock. Yet animal experts and conservation groups have persevered in tracking and tagging the animals in order to better understand their life cycle and habits. Increased knowledge could assist in preserving the species and providing farmers with more options for safeguarding their flocks than simply killing the cats. 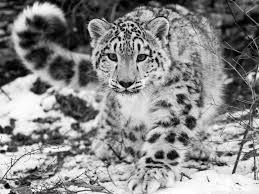 The snow leopard, whose scientific name is Panthera uncia, has also sometimes been called the ounce. Native to the mountainous regions of Central Asia and India, these big cats roam at elevations ranging from about 6,000 to 18,000 feet. The snow leopard’s distinctive pelt is grayish on top with darker rosette-shaped markings and a streak along its back; its belly is white. The animal’s powerful physique gives it the ability to scale steep mountainsides and leap six times its own length. Human behavior is a leading cause of the snow leopard’s endangered status. When farmers overgraze their flocks, they can encroach on the animal’s habitat. Additionally, overgrazing results in long-lasting damage to the mountain grasses that sustain herds of wild goats and sheep, which are the snow leopard’s main sources of food. The animals then resort to preying on domestic livestock as a last resort.